Space Invaders Get Even proved that drastically changing a classic Taito franchise works very well. 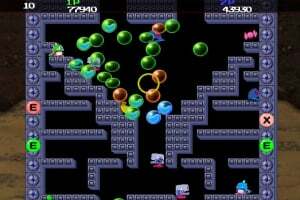 Bubble Bobble Plus, however, is more of a flat-out remake - is it a good one? 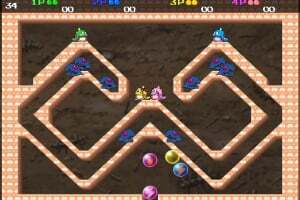 Bubble Bobble Plus! is a simple yet exhilarating action game where you control the bubble blowing dragons Bub and Bob, trapping enemies in bubbles and then popping them. 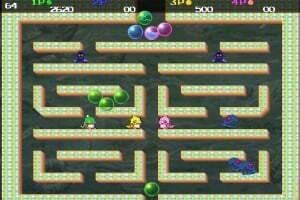 You can play all 100 of the Standard Mode rounds, which faithfully recreate the nostalgic arcade game, or try 100 new Arrange Mode rounds, which allow up to four players to play on stages with exciting new features such as new enemies and stage layouts. There are also Super Mode rounds for you to enjoy. Obtain the true ending by solving puzzles hidden on each stage to defeat the final boss. You can also play Ranking Mode where you compete with players from around the world to get the highest score by registering your scores via Nintendo WFC for each game mode. On top of all that, you can enjoy a further 100 rounds, facing off against new boss characters by purchasing the “Expert Mode 1” and “Expert Mode 2” add-on content. 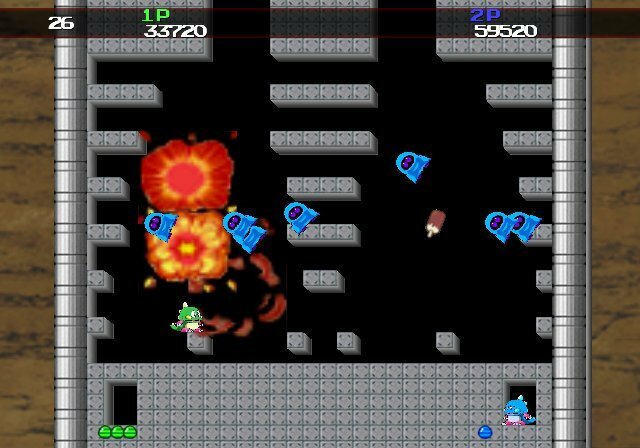 I really hope Taito revitalizes Bubble Bobble for WiiWare the same way they revitalized Space Invaders with Space Invaders Extreme. 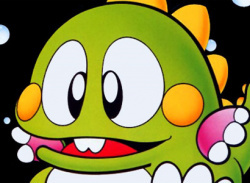 If there's one Taito franchise that needs the SIE treatment, it's Bubble Bobble. I'll most likely get this game. I hope it also supports GC controllers, I don't want to pay 40 bucks for an extra WiiMote right now. 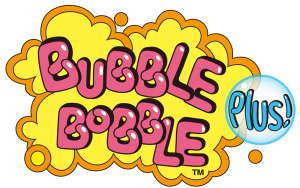 @ Garrett: There's pretty much been a Bubble Bobble game every year, the DS even has two. I hope it's multiplyaer is good. If it has an online scoreboard, then I'll defienetly get it. I'll wait until I see more of it before I get too excited. If this supports online cooperative play, I'm definitely in! I'll second that. 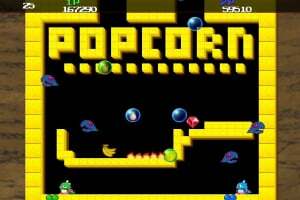 Co-op is what Bubble Bobble was all about. Well well. 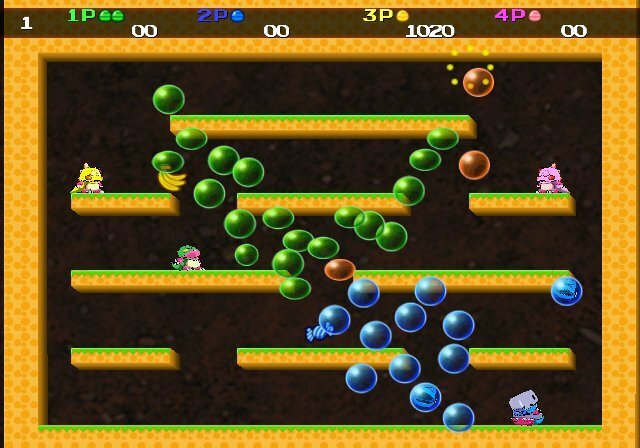 I loved the first Bubble Bobble (getting it soon on VC! ), so I'll keep this in mind. oh please i want bobble this friday. Damn your twounge tisters, Twaito! What's the difference between the Rainbow Island remake and this? They're different platform games completely. 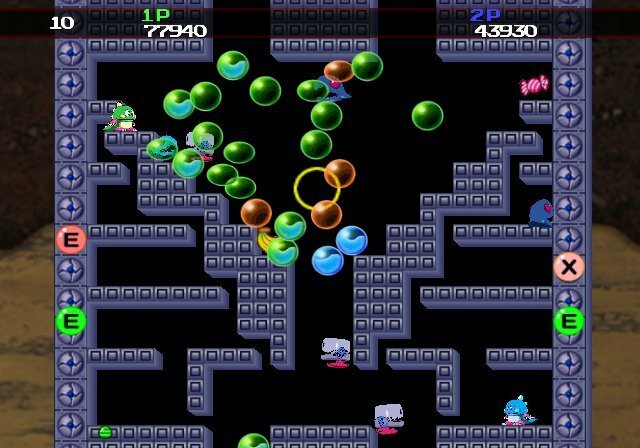 Bubble Bobble has you clearing a screen of monsters before you move on to the next screen. 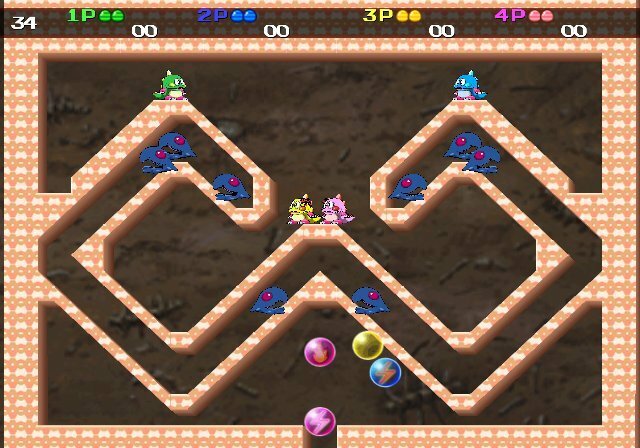 Rainbow Island has you working your way up stages which are several screens in height. I prefer Rainbow Islands. As much as my interest is piqued here, I really want to know what's going on with the Rainbow Island game. It was one of my favorite games on my Amiga. 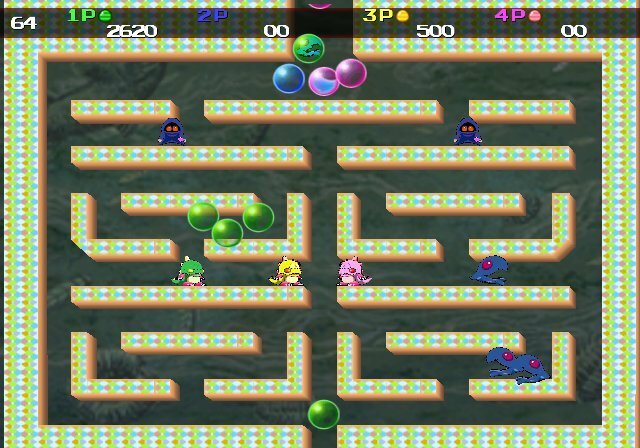 This one's Bubble Bobble, not Rainbow Islands. Definitely getting this. Question is, when can we expect this? Soon, I hope in light of the recent ESRB rating. BTW does anyone know why this is published by Square Enix and not Taito? It's a bit "buggy", they've changed the range when you pop the bubbles, without compensating the levels, so you can get stuck in narrow spaces, like on level 99, and plenty others. The bubbles pop as soon as you touch them, so it's impossible to blow any in spaces that are 2 "squares" wide. One other bug is that you no longer can blow bubbles through narrow spaces, one square high, also unbalancing some of the levels. North America gets their price in this game set at 600 points making the PAL regions jealous. I like BB, but this ain't worth it for me, it just looks alot like the original. I'm actually quite surprised with the pricing decision they chose but who am I to complain? 600 Points can be seen as a big bargain especially since the original is 500 Points and there's more content found here. How come it's 800 in PAL and 600 in NA? Well, at least we got Toki Tori 100 points cheaper than North-America. Kinda disappointing that there's no GC support though. I'm really unhappy with this game. The graphical changes to Bub and Bob look AWFUL. Also, very slight platforming mechanics have changed. 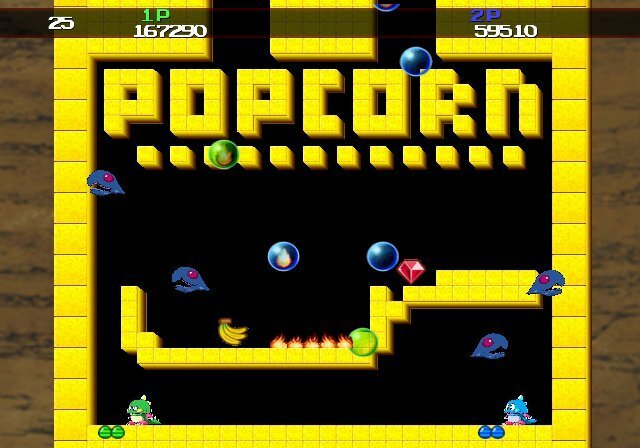 Little tiny things like movement being slightly more sluggish, jumps being a tiny bit shorter, bubble motion not being quite the same, enemies moving slightly earlier, and big things like needing wider space to blow a bubble without popping it, and not being able to shoot a bubble through a narrow vertical gap. Altogether, that means if you are accomplished at the original BB, your moves will be completely off. Plus there are now levels that are damn near impossible - like the very first one where you have to blow bubbles toward the wall to get up to a platform midway up the level and there are enemies on a second level just above that. Now it's nearly impossible to make it up safely. It used to be that blowing one bubble, if you bounced on it long enough you'd hit it JUST right and make it up to the first platform so you could carefully time your jump up to the second. Now that first bubble is not enough to get you high enough ever, no matter how long you bounce, so you have to blow a second one, which virtually always will bounce you too high and shoot you straight into the enemies. Really not happy with that. "Arrange" mode is fun though. 100 brand new levels with 4-player support.